It is with great sadness that the European Handball Federation has to report on the death of Tor Lian, one of the federation's founding fathers and its president from 2004 to 2012. Tor Lian passed away peacefully after long illness in his native Norway at the age of 71. "He was an extraordinary president and a real team-builder within the EHF. His main approach was always to make people fully responsible for their field of work which in return enabled them to do their best," said EHF President Jean Brihault who succeeded Lian in 2012. Tor Lian was one of the founding fathers of the European Handball Federation back in 1991 and a member of the federation's first Executive Committee. "Ever since my first working day he has been a close partner for me," said EHF Secretary General Michael Wiederer. "My first business trip was to Norway where he had built an exceptional organising structure within the Norwegian Handball Federation." 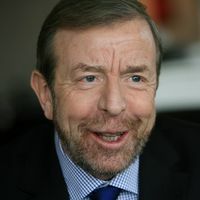 A handball player in his early years and then a coach, Tor Lian went on to become president of the Norwegian Handball Federation from 1985 to 1996. He was also vice president of the Norwegian Olympic Committee from 1990 to 1996 and vice president of the organising committee of the 1994 Olympic Games in Lillehammer. Lian became the EHF Vice President in 2000 and president of the federation in 2004. He announced his decision not to candidate for a further period of office in January 2012 during the EHF EURO in Serbia. "Over the years we always had an open and very good cooperation. And beyond handball I always held the personal contact to him in very high value," said Michael Wiederer. Photo: Tor Lian (second from the right) at the EHF's founding congress in Berlin, Germany. EHF President Jean Brihault said: "I have known Tor Lian since 2000 when I was elected to the Executive Committee. We had a very constructive and friendly dialogue prior to the 2004 congress when I strongly encouraged him to run for the EHF presidency and he wished for me to become the vice president. "When he stepped down in 2012, his wish for me was to succeed him, and I was happy to follow his wish out of friendship and of solidarity. Ever since we have been in permanent contact and I knew that he was not well. "We became very close friends and several times our families holidayed together, and I have always enjoyed his sense of humour and his vast knowledge of culture."